﻿ Roberto "Bobby" Maduro (1916-1986) was a visionary baseball team owner and executive. His dedication to promoting the game internationally from the 1950s through the 1970s remains unrivaled. He headed Havana-based clubs in the Cuban Winter League and teams in the U.S. minor leagues, which helped brand Caribbean baseball in the eyes of North American fans. He co-built the first million-dollar ballpark in Latin America. His Havana stadium was confiscated by Castro's revolution, along with all his accumulated wealth. Maduro began a new life in exile in the U.S., first as a minor league owner, then as a front office executive. He founded the short-lived Inter-American League in 1979, composed of five Caribbean-basin teams and one U.S. entry from his adopted hometown of Miami. 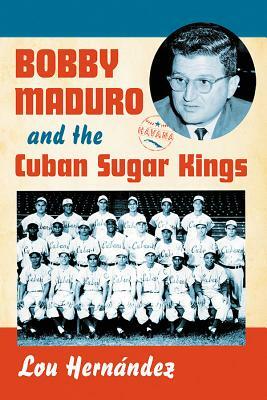 Commissioner Bowie Kuhn said of his many achievements, "No one was more dedicated, more knowledgeable or more concerned about the game than Bobby Maduro.